Blame my SAT scores, but in my lifelong education as a golfer, I'd somehow missed Yale. Fortunately, on a gorgeous October day last fall, I put it in the book. What I discovered was not only the nation's greatest college course but a grin-inducing reminder of what makes course architecture so endlessly fascinating. Yale's design quirks are weird, wonderful and unforgettable. In 1926, aided by his mentor, C.B. 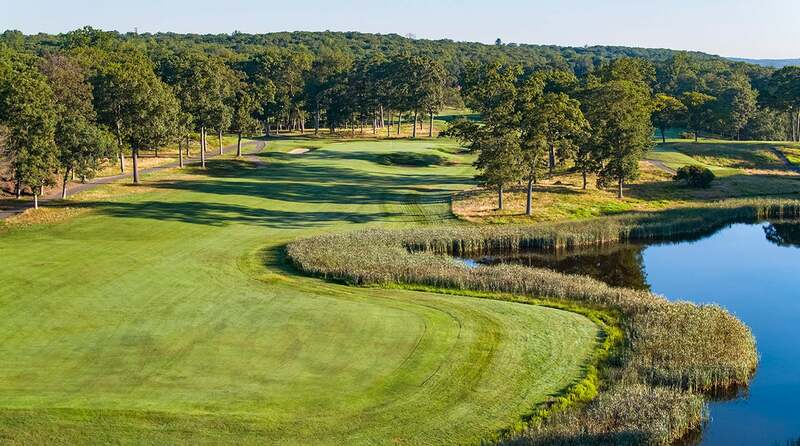 Macdonald, Seth Raynor carved Yale from a rolling 700-acre site in New Haven, Connecticut, somehow transplanting to the rugged New England terrain (ledge rock, dense forest, low-lying swamps) the classic template holes that he and Macdonald patterned on iconic British links. The funky fun starts at the 420-yard, par-4 first, which calls for a healthy carry over water to a crested fairway, followed by an approach to a massive, bifurcated, 10,000-square-foot green. To the left is a punch bowl, to the right, a plateau. Alight on the wrong part of the green and a four-putt awaits. Things get more delightfully kooky from there, on a course that doesn't serve up its first par 5 until the 16th. Take the brilliant emphasis on approach angle at hole two, with its steep drop-off left of the green. Or the gargantuan hill that completely obscures the third green. Eventually we reach the 213-yard, par-3 ninth, a Biarritz that features a 60-yard-long double-plateau green divided front to back by a five-foot-deep trench. Every gnarly ripple is visible from a tee box elevated 60 feet above Greist Pond. By round's end, you've had so much fun coping with the slopes and hollows that you're nearly oblivious to the demands of the bizarre, 621-yard par-5 18th. Dramatically abrupt elevation changes yield a blind shot or two, but the journey compels—if only to invite repeat attempts to solve the puzzles encountered. I'll tip my cap to architect Charles Banks, who teamed with Raynor and Macdonald on Yale's original design. Banks once observed that the layout had "features to stir the soul." For me, that's the essence of superior design. It's all about variety—memorable holes and unforgettable shots. Orthodoxy and textbook course design might sell real estate, but individuality, Yale-style, moves the golfer's spirit. Boola, Boola!